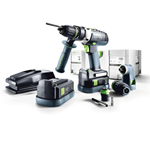 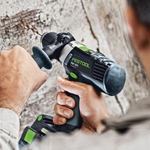 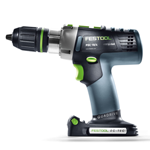 With the PDC 18/4 QuaDrive Hammer Drill Festool set out to create the ultimate drilling machine. 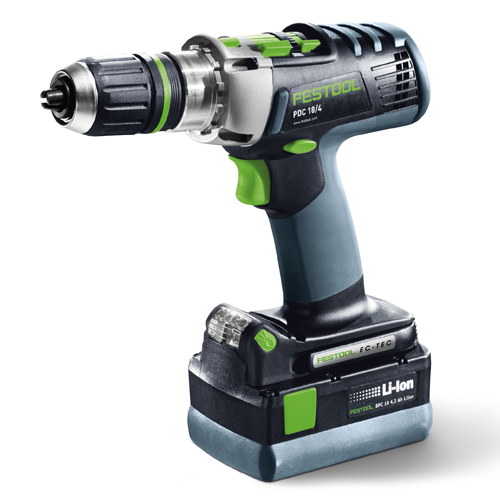 Driven by a 4 speed gear box, you can drop it down into low for hogging out material with large diameter drill bits, then switch to high speed hammer mode to blast through concrete, or just go mid-range for common drilling applications. 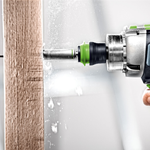 Supported by its own FastFix interchangeable chucks, including the Right Angle chuck, and the complete Centrotec bit change system, it's easy to see how this might be the only drill you could need.